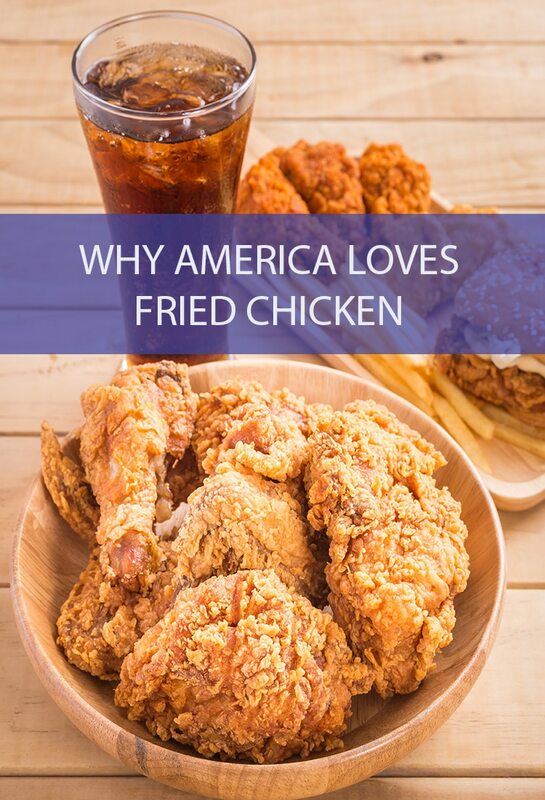 There’s no question about it, Americans love their fried chicken. Crunchy breaded exterior with juicy moist meat. But why do they love it so much? Americans love fried chicken. Don’t believe me? Check the title of this article. It’s not a question. It’s a statement. Or mention fried chicken at any social gathering that’s not a vegan club and see what kind of reactions you get. The term “as American as fried chicken” is fairly common, even though the apple pie variant of that statement is more popular. But the fact remains that fried chicken is one of the most popular comfort foods in the history of this country. What’s interesting about the rise of fried chicken is that it’s closely tied with the rise and evolution of America as a nation. Have I intrigued you? Read on to learn something! Fried chicken is incredibly American, particularly Southern, but it wasn’t always the case. Fried chicken was actually created abroad, though precisely where it first came from differs based on who you ask. 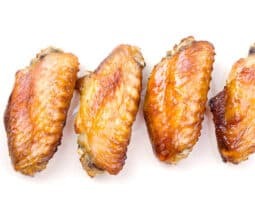 While most of the world was dead set on baking or broiling chicken, it was the Scottish who decided “throw it in some fat!” and they began deep frying it. It is believed by many that this was the birth of fried chicken as we know it, and it came over to America with Scottish immigrants. West Africans also have a tradition where they fry food in hot oil, so some surmise that the custom of frying up chicken came to the South through African slaves who attempted to produce something from their homeland. 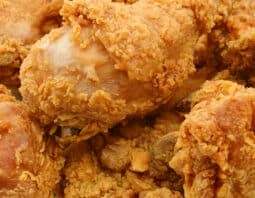 Either way, fried chicken came to America, either from European settlers or from Africa, and it continued to grow in popularity. 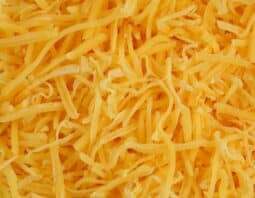 It’s unfortunate that one of the best foods in the world has its history entangled in one of the most shameful periods of American history. 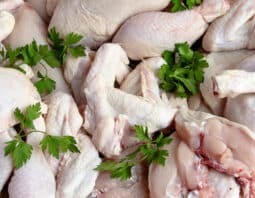 Fried chicken became incredibly popular among African slaves because chickens were one of the few animals they were permitted to keep and raise. It became relatively common for these slave families to fry up chicken on special occasions. Prior to World War II, fried chicken was only prepared for holidays and other big occasions. It certainly wasn’t available with the frequency that we enjoy today. That’s because, at the time, spring chickens were fairly scarce. Because of the amount of fat needed for the frying, plus the lengthy prep time, it was also rare to find fried chicken on a restaurant menu. Fast forward to the time of racial segregation, and fried chicken became a convenient food for African American commuters because it traveled exceptionally well in the era before everyone had a refrigerator in their home and workplace. Why was this needed? Most restaurants were segregated, and thus closed off to African Americans. More people started preparing fried chicken and it surged in popularity, first out of necessity, then out of desire. The descendants of former slaves began to use their family recipes to successfully branch out and become entrepreneurs, making fried chicken a more common food around the country. As fried chicken came to evolve, new variations of it started sprouting up. Take chicken fried chicken for example. The name of the food seems almost oxymoronic. There’s some debate in the food world about this version of fried chicken and how it differs from regular old fried chicken. First, there’s chicken fried steak, which is a steak cutlet that is dredged, dipped in egg and flour coated before being fried. Chicken fried steak contains no actual chicken. It gets its name because it’s breaded and fried the way of fried chicken. That stands to reason that chicken fried chicken is….chicken that is fried like fried chicken? Isn’t that just fried chicken!? Well, it turns out that chicken fried steak differs from fried chicken in a couple of ways. 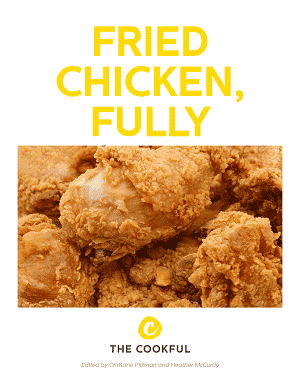 First, it is boneless whereas fried chicken is usually on the bone. Second, it is often served with a gravy. So then, chicken fried chicken is chicken that is served like chicken fried steak. That is, it is boneless chicken that is breaded and fried and then served with gravy. One of the more common versions of fried chicken is chicken and waffles. It’s exactly what it sounds like. A few pieces of fried chicken served alongside some buttery golden waffles. So, whose idea was this, anyway? Seems like an odd couple, right? Again, there are differing opinions. A lot of food scholars believe that chicken and waffles, despite being a Southern staple food, owes its origins to the North. Specifically, to Harlem, NY. In the 1930s a restaurant in Harlem known as the Wells Supper Club started serving fried chicken thighs alongside some deep-pocketed batter. Hence, chicken and waffles. 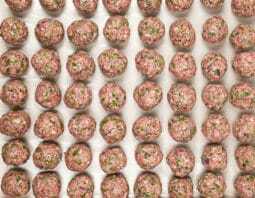 Others believe that it has been around since the 1600s and originated from the Pennsylvania Dutch. I’ve also heard it attributed to German settlers throughout the 19th century. Then there are those who believe that chicken and waffles began through slavery. Enslaved Africans were mixing rice flour batter and cooking it, creating waffles that they served with blackberry preserves alongside fried chicken. While the origins of fried chicken come from dark times in this country, the food surged in popularity and evolved as the country began to age. Americans love fried chicken despite how it began because it’s a food that evolved along with us. Also, it’s delicious! It’s the ultimate American comfort food and it’s here to stay.